He was born in 1970 in Uskudar, where he later completed his general education. In 1988 he got enrolled into the History Department of the Faculty of Natural Sciences and Literature of the Marmara University, and graduated in 1992. Since 1993 – Researcher of the Social Sciences Division of the Ataturk Education Faculty, Marmara University. In 1996 he graduated from the magistracy, and in 2006 a doctoral program at the Institute of Turkic Studies of the Marmara University in specialty “History of the Middle Ages”. In 1993-1995 he studied Arabic and the history of Islam at the Jordan University, and in 1996-1997 he studied English at the Middle East Technical University. In 2000 he became a researcher in the History Department of the Faculty of Natural Sciences and Literature. In 2000-2003 carried out research in the history of the Middle Ages in the Department of Islamic Studies and the Middle East at the Edinburgh University . In 2003-2005 worked as a teacher at the Damascus University. In 2011 he received the title of associate professor. In 2011-2014 He has served as Deputy Director of the Institute for Middle Eastern Studies at Marmara University and Head of the Department of Political History of the Middle East and International Relations. In 2016 he received the title of professor. From 1998 to 2017 – member of the Turkish Religious Foundation, editorial staff of the Islamic Encyclopedia, Scientific Council on the History of Islam, in 2007-2017. He worked as head of the Research and Publications Department of the Center for Islamic Culture and Art of the Organization of Islamic Cooperation. There are significant works in the history and culture of the Middle East and the Arab world. 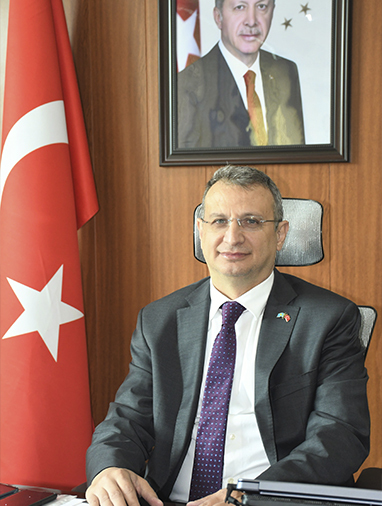 In 2017, he was appointed Deputy Rector of Yalova University. In 2017-2018 he was dean of the Faculty of Political Science at the University of Marmara. There are significant works in the history and culture of the Middle East and the Arab world. In 2017, he was appointed Deputy Rector of Yalova University. In 2017-2018 he was dean of the Faculty of Political Science at the Marmara University. He speaks English and Arabic, married and has two children.